According to Today in Science (a website I use quite often to find some arbitrary scientific topic for my daily blog) today, 13 May, is the day in 1637 that the table knife was created by Cardinal Richelieu of France. Whether it actually happened on this exact day I was unable to confirm, but various sources seem to agree that it was in fact Cardinal Richelieu (Armand Jean du Plessis) who was responsible for creating the now common table knife with its rounded end. And it happened in the 1630’s, at least. 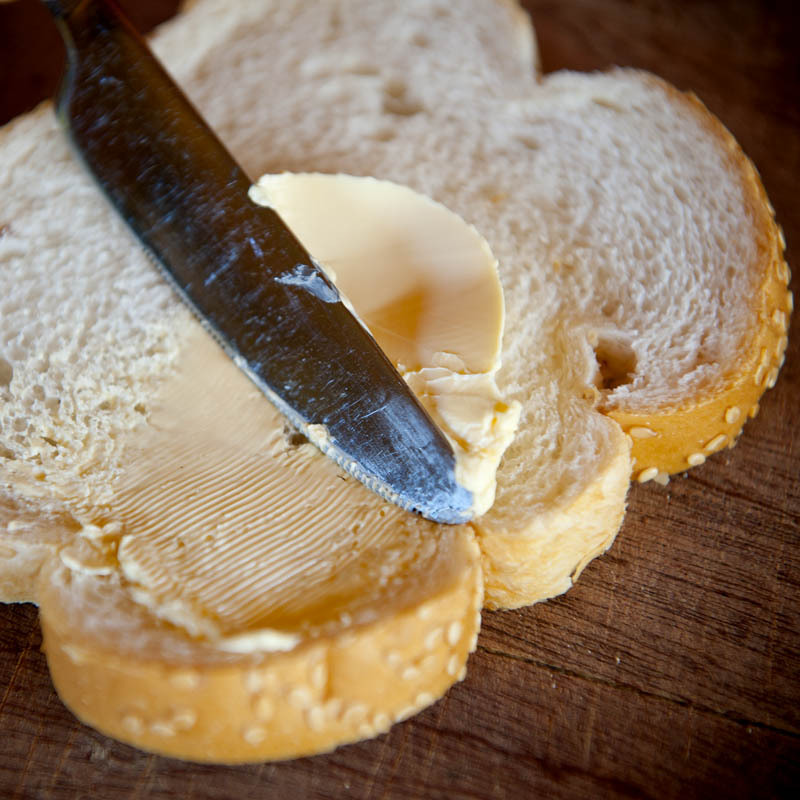 Spreading made easy, thanks to the wide-bladed, blunt-ended table knife. The story goes that Cardinal Richelieu got irritated by the brutish behaviour of men at the dining tables of the time, stabbing their daggers (which doubled as table cutlery) into chunks of meat and other food, or into the table, for that matter, if they needed their hands free. And even worse was their despicable habit of using the sharp daggers to pick their teeth at the end of the meal. To put an end to this behaviour, he ordered his kitchen staff to file off the sharp points of all the house knifes. The idea caught on, and it wasn’t long before this new style of rounded table knife became a trendy dinner accessory in upperclass French households. In 1669, King Louis XIV of France banned pointed knives – at the table and as weapons – to try put an end to the culture of violence of the time. This further cemented the position of the round-ended table knife as preferred form of cutlery. So next time you butter a slice of fresh bread, or tuck into a soft and juicy stew, remember Cardinal Richelieu, and his clever cutlery innovation from almost 400 years ago. Cool story. Thank you for sharing it.